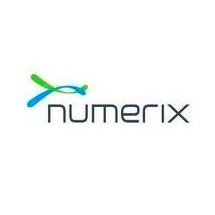 Cross-asset analytics provider Numerix has launched its consolidated XVA risk platform, compatible with front office trading, risk management and a variety of other utilities across a variety of asset classes. Numerix has been active in the financial services industry with the adoption of its CrossAsset platform by CameronTec earlier this year. Moreover, Numerix has also partnered with Globit back in February. In its newest launch, the availability of Numerix’s XVA platform will enable enterprise-level risk management and a number of front-office functions with a focus on derivatives trading in particular. More notably, these utilities include, among others, the calculation of credit risk exposures, funding and capital costs and pre-trade pricing adjustments. The new platform has also taken a larger stance with derivatives trading profitability, given the shifting regulatory climate induced by compliance measures worldwide, namely in regards to margins and larger capital costs. “With all XVAs incorporated into pre-trade prices, insights into true trade profitability can be obtained. Numerix XVA can be used as part of a trade profitability framework that enables users to attribute portfolio-level risk, margin and capital analytics back to the trade. By getting the all-in profitability of the trade and observing all of the cost components, customers are empowered to make the most informed decision with respect to trading or risk managing derivatives,” added Kancharla. Furthermore, “the unification of siloed areas, optimization of operations and the integration of risk and capital intelligence into trading – including intra-day or real-time/pre-trade analysis is one of the most important ways to achieve efficiency for a derivatives operation. Numerix XVA provides better control over all components of derivatives risk management. It not only gives users the ability to derive insight into which trades are better economically for their business, but helps to more effectively manage the capital set aside for derivatives trading operations under new regulations. All of these elements must be considered for transparent decision making, strategic planning and the allocation of resources,” noted Steven R. O’Hanlon, chief executive officer and president of Numerix in an accompanying statement.